A new chapter in John Adams’s diplomatic career opened when the Dutch recognized the United States in April 1782. Operating from the recently purchased American legation at The Hague, Adams focused his energies on raising a much needed loan from Dutch bankers and negotiating a Dutch-American commercial treaty. This volume chronicles Adams’s efforts to achieve these objectives, but it also provides an unparalleled view of eighteenth-century American diplomacy on the eve of a peace settlement ending the eight-year war of the American Revolution. C. James Taylor is Editor in Chief of the Adams Papers at the Massachusetts Historical Society. 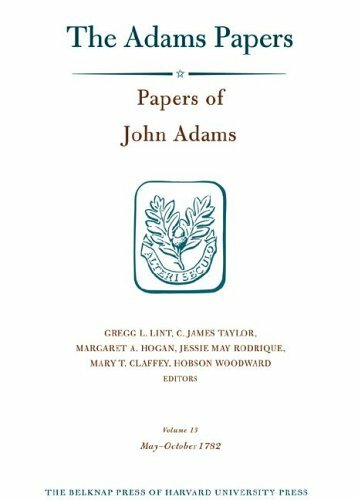 Margaret A. Hogan is Editor of the Adams Papers at the Massachusetts Historical Society.